The Honorable Linda Ann Wells, Chief Judge of the Third District Court of Appeal, opened the ceremony with a warm welcome and introductions. Ms. Rodriguez, then gave remarks on behalf of the Historical Society, followed by Ms. Andrea Hartley, Esquire, President of the Dade County Bar Association. Mr. Rodolfo Sorondo, Jr., Esquire, also participated in the ceremony by speaking about his years on the court with Judge Ramirez. Judge Ramirez then gave his concluding thoughts on his legal career thus far, and his tenure as a Judge. The ceremony was followed by a reception at the district court. Judge Ramirez’ career as a judge has been long and distinguished. “I was a trial judge for twelve years, and an appellate judge for another twelve years and it was a very rewarding career,” said Judge Ramirez in a telephone interview. He continued, “As someone who was basically an immigrant, the opportunity to be a judge has been rewarding in every way, as well as to have had the opportunity to contribute to the laws of Florida.” But his career is not over yet, according to the man himself. After serving as an appellate court, circuit court and county court judge, Judge Ramirez is ready to pursue other opportunities. As he moves forward, Judge Ramirez will continue to teach and write. In addition, he will take on a new title, that of “neutral” with Judicial Arbitration and Mediation Services, Inc. (“JAMS”). JAMS is the largest private alternative dispute resolution (“ADR”) provider in the world. In addition, it is a nationwide organization that operates in twenty-six cities, and has recently opened its first office in Miami, Florida. “Working with JAMS will give me the ability to mediate and arbitrate for an unlimited amount of time and I can have a flexible schedule to fit my life,” said Judge Ramirez. When the opportunity came along to work with JAMS, Judge Ramirez knew it was time to hang up the robe and take control of his future. When asked why he chose JAMS as his next endeavor, Judge Ramirez stated that he believes he will be an asset to JAMS because of his years of experience as a judge, where he operated in a neutral capacity. His bi-lingual ability will also enhance the already impressive skills he brings to the table. He hopes these skills may even enable JAMS to expand internationally. Judge Ramirez earned his law degree, with honors, from the University of Connecticut School of Law in 1975. He also has B.A. and M.A. degrees from Vanderbilt University. He has served as a county court judge (1988-1990), a circuit court judge (1990-1999), and a district court judge (2000-2012). On July 1, 2009 he served as the Chief Judge of the Third District Court of Appeal until his term expired on June 30, 2011. Judge Ramirez is a published author and has written multiple three-volume treatises which have been published by Lexis. In addition to supplementing his treatises, he has also written for numerous Florida Bar publications and has written a casebook which was published by Carolina Academic Press. Judge Ramirez is also a teacher. He has taught numerous law school courses as an adjunct professor at Florida International University, University of Miami School of Law, St. Thomas University School of Law and Nova Southeastern University School of Law. 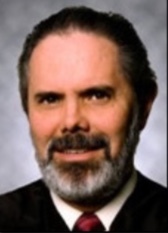 Judge Ramirez was born in Havana, Cuba and has been married to his wife, Josie, since 1979. They have two sons. Kerry Cooper Collins is an attorney in Jacksonville, Florida. She practices in the areas of appellate law and civil litigation. Previously, she participated in a judicial externship with the Florida Supreme Court. She earned her J.D. from the University of Florida, Levin College of Law; M.B.A. from the University of North Florida; and B.A., from Flagler College in St. Augustine, Florida. She is licensed to practice in Florida and Nebraska and is currently seeking to expand her appellate practice. She can be reached at kerryccollins@gmail.com.